University of Iowa president Bruce Harreld has asked the deans of each college on the Iowa City campus to evalutate faculty compensation and flag areas of concern. Harreld cites a recent USA Today ranking evaluating faculty pay over the past 12 years, showing U-I’s standing for faculty salaries has dropped 26 places, out of the top 100. Harreld’s first day as University of Iowa president was November 2nd. He comes to the job from a business background and Harreld said “it’s not fun” to be greeted with protesters calling for his resignation. Harreld told reporters, though, that he’s had no second thoughts about taking the job. 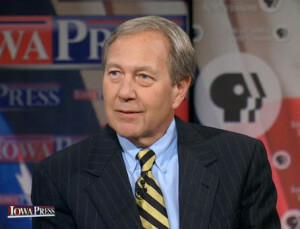 Harreld made his comments during and after today’s taping of the “Iowa Press” program that will air Friday night on Iowa Public Television.